We offer riding lessons and horse training services for all rider ages and horse breeds. 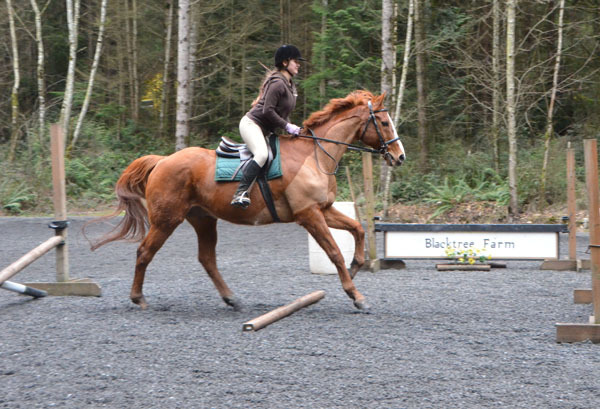 Our main focus is dressage and jumping, but other disciplines are welcome. Blacktree Farm specializes in sporthorse breeding, lessons, training & sales. We are located in beautiful western Washington State, on the Kitsap Peninsula, near Poulsbo, Kingston & Bainbridge Island. Blacktree breeds top quality Warmblood Sporthorses with exceptional temperaments, built to excel in both Dressage & Jumping.